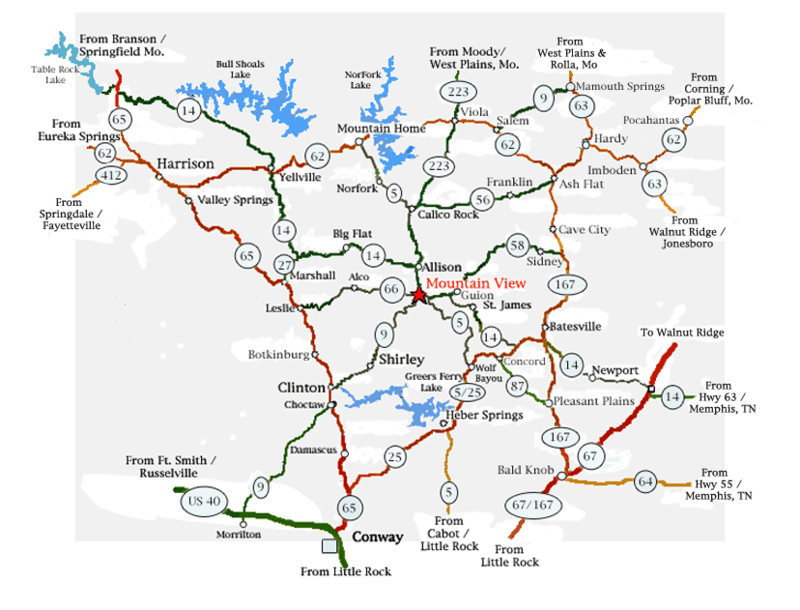 Mountain View is located in North Central Arkansas. We are approximately two hours from Interstate 40. The map below will give you a good idea of our location and if you need specific turn by turn driving directions please click here.